Emergency Medical Services (EMS), also known as ambulance forces or paramedic forces are a form of emergency services committed on the provision of out-of-hospital acute medical care, transfer to hospital and comprehensive services, and other medical transport services to patients with acute sickness and injuries. EMS may also be locally known as a paramedic service, the first aid team, or emergency and rescue troop. 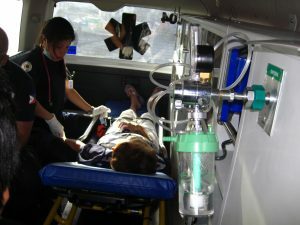 The ultimate objective of the majority of emergency medical services is to either supply medical management to the individuals in need of emergency medical care, with the intention of adequately treating the acute conditions, or organizing for the appropriate extrication and transport of the victim to an appropriate facility. This is most expected to be at an emergency department at a hospital. The name emergency medical service progressed to mirror a revolution from a basic structure of ambulances providing only transport, to an organization in which introductory medical attention is provided at the scene of incident and even during transport. 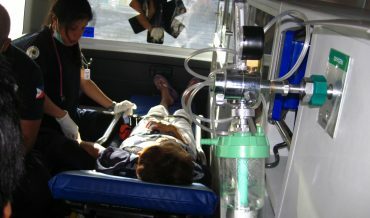 In some developing countries in Asia, like in Bhutan, the term Emergency Medical Services is not used properly, rather inaccurately since the services EMS provide does not entail the provision of primary treatment but only the provision of transport service from the place of incident to a medical institution. However, in Bhutan, the Emergency Medical Services units provide procedural rescue procedure such as extrication, water rescue, and other modes of search and rescue. The EMS providers were competently trained and are qualified based on the standards. Some of the EMS providers’ skills include Basic Life Support (BLS) and first aid provision, proper positioning and transport, as well as driving ambulances. In most places in the world, including Bhutan, the EMS is regulated by government agencies in which an emergency telephone number is provided. The agencies in control of the facility regulate the hotline as well. They coordinate their resources in order to provide the best possible service they could provide. In fact, Bhutan has launched its Telephonic Health Help Center (HHC) on May 2, 2011. The HHC contact number is 112. From the launch up to this date, it has been running successfully and efficiently. Bhutan’s Health Help Center basically provides two services: first is the provision of Emergency Response (ER) and the other is the Health Care Helpline. These services are both accessible through landlines and mobile phones. In 37 locations across Bhutan, a total of 61 ambulances are being strategically positioned to provide Emergency Responses in the kingdom. Further, there are 59 Emergency Medical Technicians that are trained to provide the service. They are also equipped with advanced equipment such as the GPS and GIS technology that aids them on the proper location. The Healthcare Helpline dispenses medical advice. On the other hand, the health care helpline serves as an easy access for medical advice since they provide medical guidance, as appropriate and necessary. Every country’s healthcare system has always been a priority. In Asia, where most of the countries are categorized in a developing country status, has been struggling with the system. The improvement in Bhutan’s health care hotline is hoped to promote a better EMS in Bhutan. The Kingdom of Bhutan is a sovereign nation that is located in the direction of the eastern ends of the Himalayas mountain range. Bhutan is grouped into 20 districts, and further into 205 village blocks. Municipalities were also formed as an avenue for administration. The health sector in Bhutan is one of the government‘s utmost precedence in its structure of advancement and innovation. In fact, Bhutan’s Ministry of Health has seen the health issues and other related concerns as an urgent concern. As stated in the public policy of Bhutan, health care is a component of the country’s Gross National Happiness and that it should be accessible and affordable to every individual. The authorities of the Kingdom of Bhutan have also establishing moves in order to ensure a safe and healthy environment for all its citizens. Further, the free and easy access to basic public health services has been being advocated, as well as the provision of both traditional and modern medicines. In year 2017, Bhutan’s Ministry of Health has received Emergency Medical Training Equipment which is deemed to be part of the Bhutan Foundation’s programs. Currently, Bhutan Foundation has been making ways to improve the country’s emergency medical services. This initiative has an in-progress partnership with the Emergency Medical Services Division (EMSD). The EMSD is under the country’s Ministry of Health and the Jigme Dorji Wangchuck National Referral Hospital (JDWNRH). Further, the bestowed items were comprised of training guidebooks and other training equipment such as adult, child, and neonatal manikins. 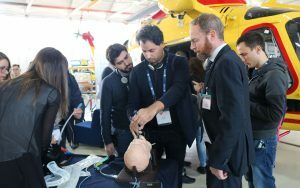 These tools can be of use for the improvement of training among health workers and other concerned individuals which can be in resuscitation, intubation, and birth simulations. The donated training equipment was planned to be distributed to Jigme Dorji Wangchuck National Referral Hospital, Mongar Eastern Regional Referral Hospital, and Gelephu Central Regional Referral Hospital. The Bhutan Foundation has been operating hand in hand with the Ministry of Health and Jigme Dorji Wangchuck National Referral Hospital in order to advance the deliverance of crisis and emergency medical services in Bhutan. The Bhutan Foundation, which started its operation in year 2009, has been helpful in the preparation and training of over 290 doctors and nurses involved in the emergency trauma care. Its first responders trained were 146 taxi drivers and 30 nuns, and 23 ambulance drivers in complex first aid. In addition, there were 38 doctors and nurses that have been certified as local trainers in order to continue the multifaceted emergency medical trainings in the country. Recently, the Bhutan Foundation donated a Nu 2.5 Million worth of SimuLab TraumaMan and training supplies to the National Emergency Education Center (NEEC), JDWNRH. 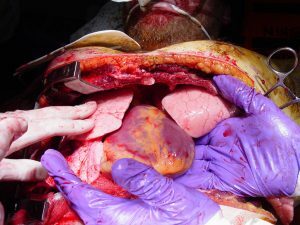 The TraumaMan provides a realistic human simulation for advanced trauma training. Through the aid of this technological advancement, the trainers and learners will be able to experience factual medical simulations. These simulations will provide realistic clinical situation, active training and response to the learners. It is hoped that this will promote learning and facilitate a more comprehensive and competent learning environment among medical professionals. In year 2017, a Nu 40 million worth of education and training paraphernalia were provided by the Bhutan Foundation to the country. It is aimed to help construct and enhance the capacity of health professionals in Bhutan. Truly, these schemes are very much helpful to the country’s emergency response system and the advancement of its personnel’s skills and workforce. Bhutan is situated in the eastern Himalayas with a total area of 36 394 sq. km and a population of 774 830. The country is in the medium human development category and is ranked the 13th most peaceful country. The country has envisioned its philosophical development based on the concept of Gross National Happiness. The country’s health system was exceptionally funded and scrupulously managed by the government making it improve and grow outstandingly during the past 50 years. One of the main reasons of why its health systems has progressed is that their health strategies were designed in a way that the quality of care and service being rendered is improved, as well as there is an expanded coverage of services and just distribution of health resources amongst the population. Some of the improvements during the past years were shown on the structures of basic health units and outreach clinics, enhancement of government hospitals as well as its referral facilities. Further, the country has also advanced its services thru the availability of major apparatus such as computer tomography (CT) scans and magnetic resonance imaging (MRI) equipment. It is notable that Bhutan’s public health services were finely instituted through the implementation of its diverse health programs. In fact, it is stated in their constitution that the state has the responsibility to provide free access to basic public health services in both modern and traditional medicines. In line with the Kingdom’s health policy is its health pathways. The policies are clearly defined where services for primary and ambulatory care should be provided through their available public health clinics, basic health units and district hospitals. Further, to augment the need for advanced treatment is their referral institutions that provide more complex medical service. They have sustained their good health service despite of the difficulties with the country’s environmental landscape and scattered community settlements. The easy access to health services has been maintained and even surprisingly enhanced. There has been an increase with the utilization of primary level care with more rural inhabitants conveying satisfaction with the country’s health services. At present, the country is dealing and strategizing on their Emergency Medical Services (EMS) structure. A national Health Emergency and Disaster Contingency Plan (HEDCP) has been organized and sustained in order to respond to public health crisis and disease epidemic. The key role and coordination pattern during emergencies and disasters were clearly defined by the Emergency Medical Services Division (EMSD) as well as a Health Emergency Operation Center (HEOC) was established in order to guarantee efficient communication and coordination during the process of mitigation, emergency response and crisis management. Recently, the concern on their human resources for health’s gap between deployment and demand was filled in. The shortage of health personnel is being cured and is notably an on-going process. Like any other programs, there are setbacks that need to be resolved. The health services’ quality and safety monitoring had been significantly tough to scrutinize. There has been variations in the efficiency levels of the health facilities, with the most attention to the service and resources equity. However, through the extreme efforts of the Kingdom of Bhutan and other non-government agencies, it is not surprising that their health forces, including the emergency medical services, will improve and be sustained overtime.